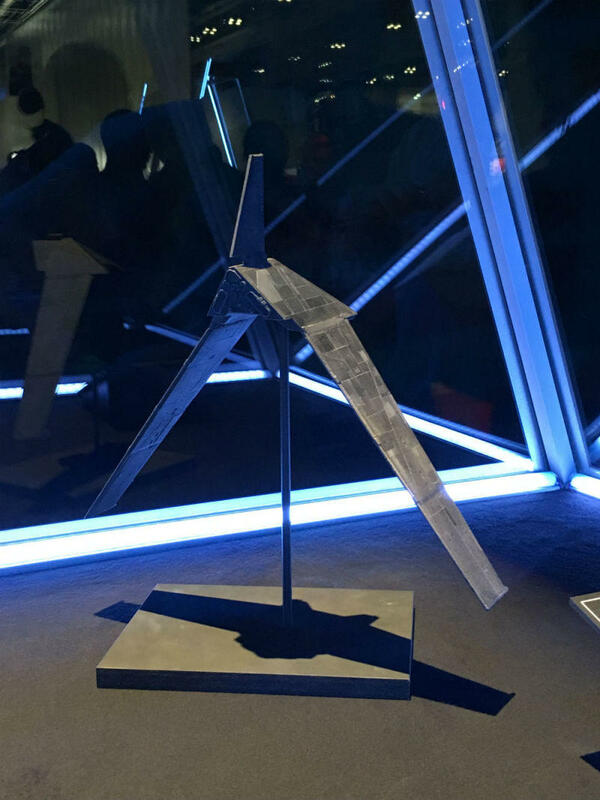 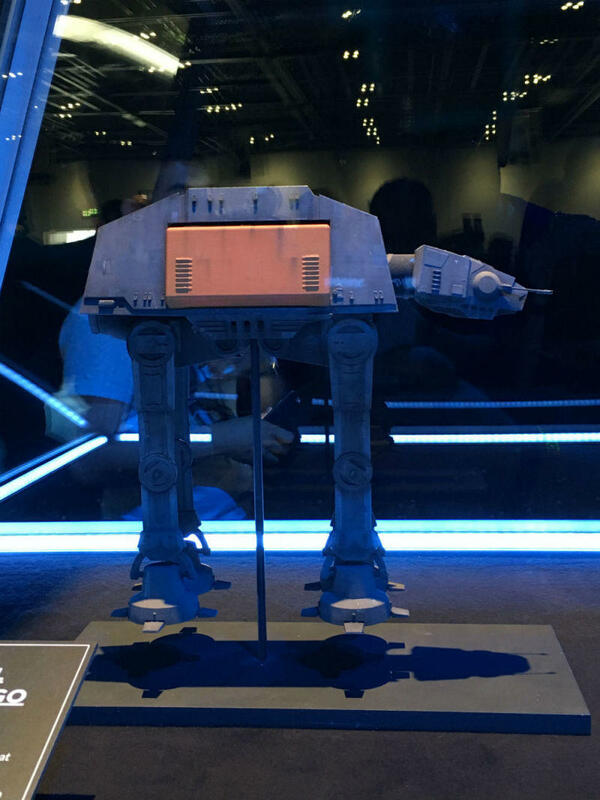 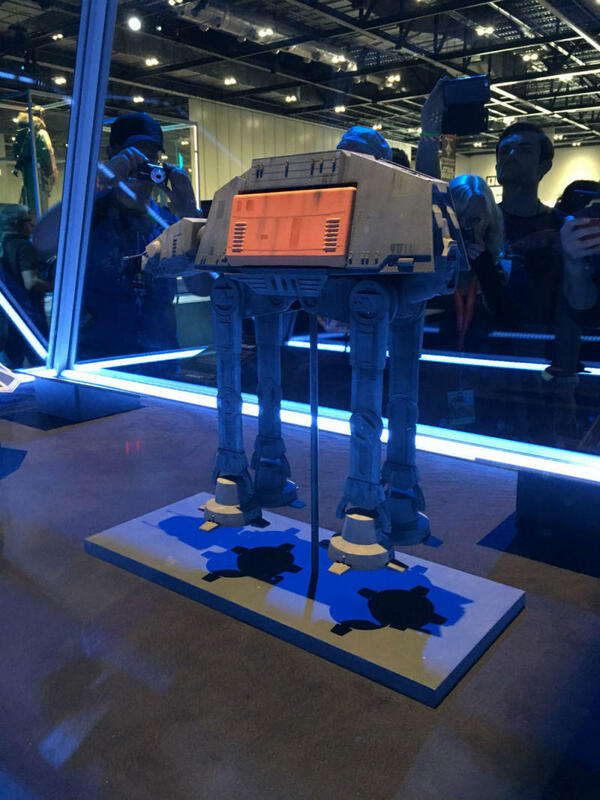 Lucasfilm already revealed Rogue One would feature new ships (along with a ton of new aliens), and thanks to Star Wars Celebration in Europe, we now have an up-close look at the TIE striker, AT-ACT, and Director Krennic’s Imperial shuttle. 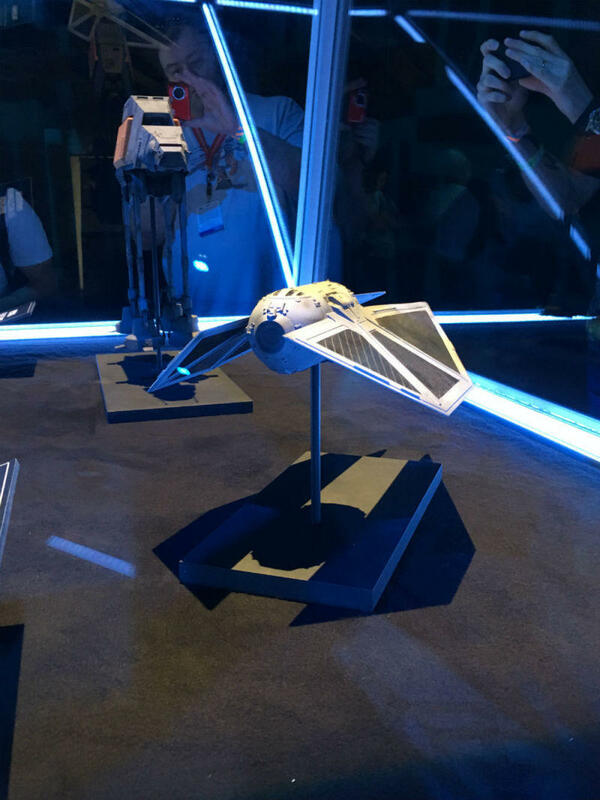 The TIE striker and AT-ACT look awesome, but it’s Krennic’s shuttle that steals the show. 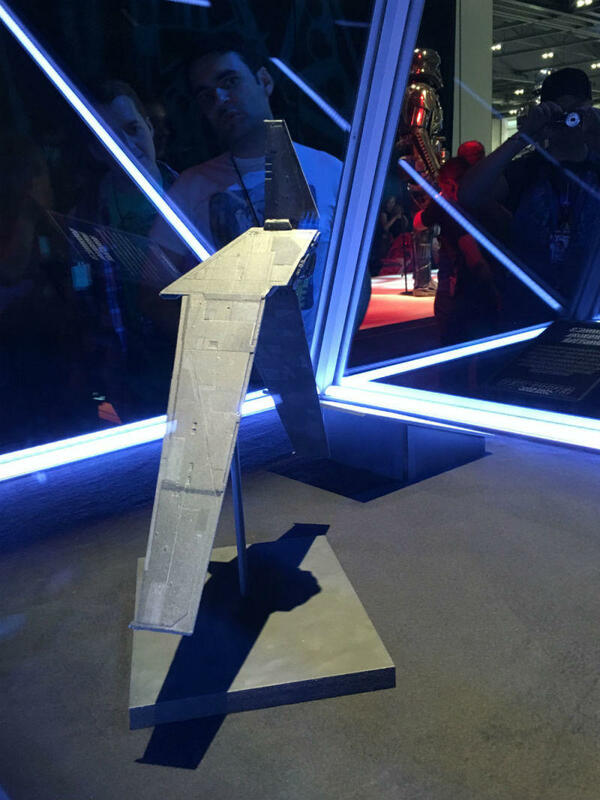 It’s an imposing and threatening design, something that’ll no doubt become a new favorite among Star Wars fans. 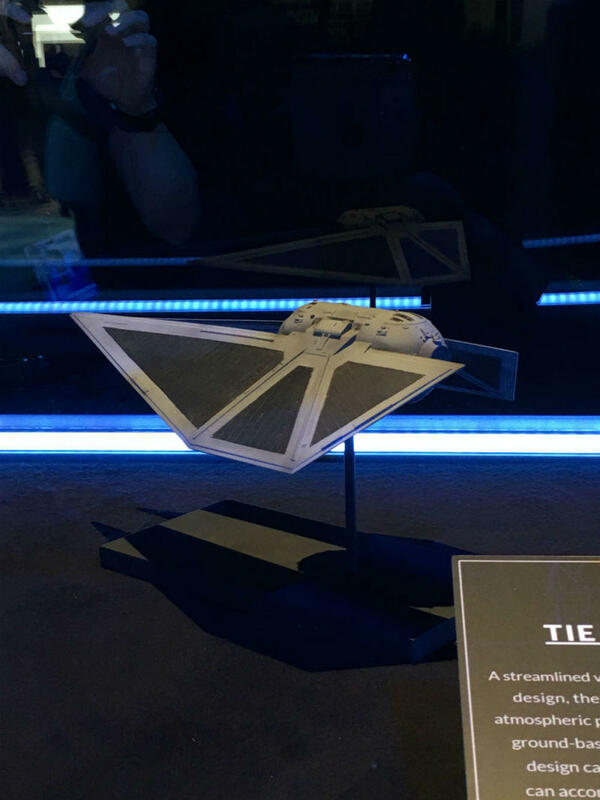 A streamlined variant of the classic TIE fighter design, the TIE striker is designed for atmospheric patrols over important Imperial ground-based installations. 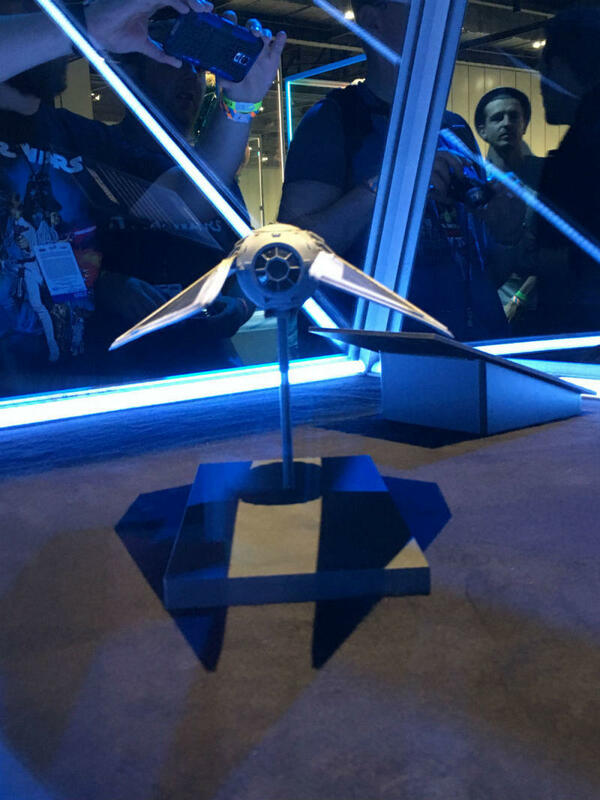 The versatile design can also soar in space, where it can accompany traditional TIE fighters in chasing down enemy starships. 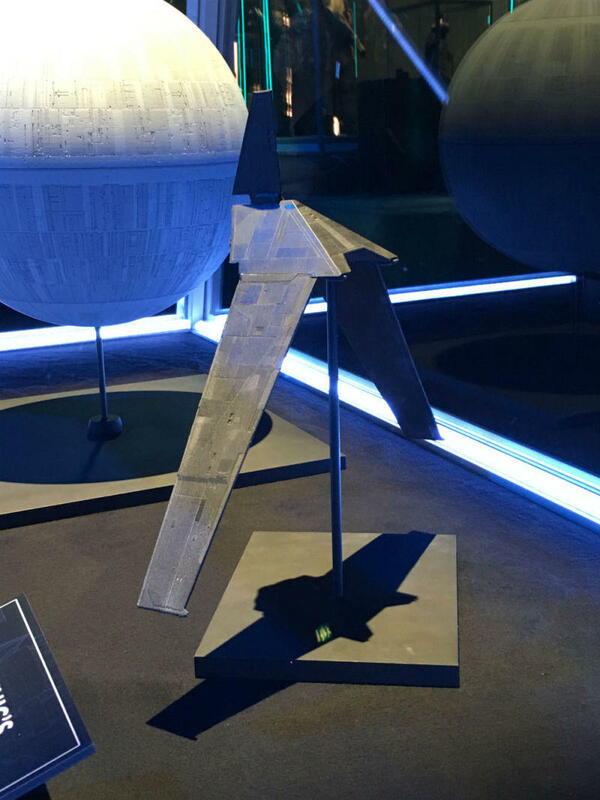 With its starkly geometric hull shape and folding bat-like wings, the approach of Delta-class T-3c shuttle is an imposing sight. 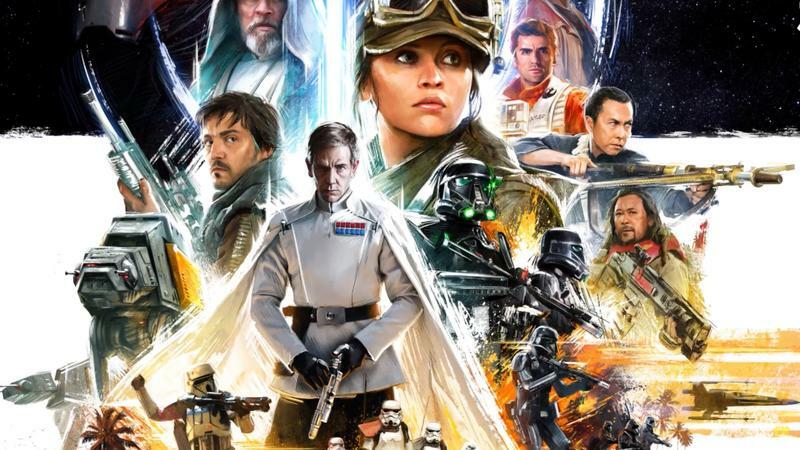 Once it lands and deploys its passengers—the cruel Director Krennic and his squad of elite troopers, all sense of dread proves extremely warranted.